NOTE: This was supposed to be posted last night, but my web host had an unexpected outage. Then Codevember happened, and I thought, “I can do that in CSS easy.” So I did. I fudged the last circle a bit (it should be the marker for “Launch and Support”) but this is more useful in the real world. 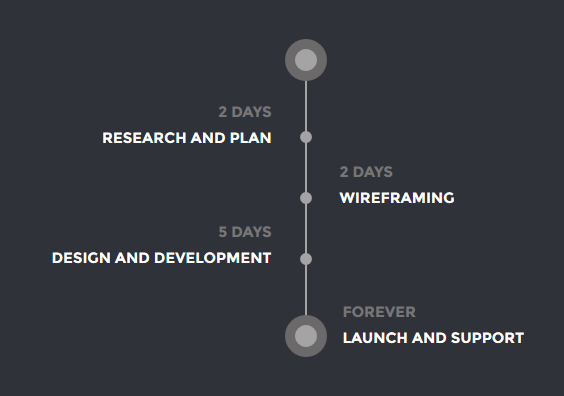 See the Pen #codevember #2 : Process timeline (static) by Smokie Lee (@xtoq) on CodePen.